Many have been doing ankle mobility drills for months (if not YEARS) on end, and getting little to no results. 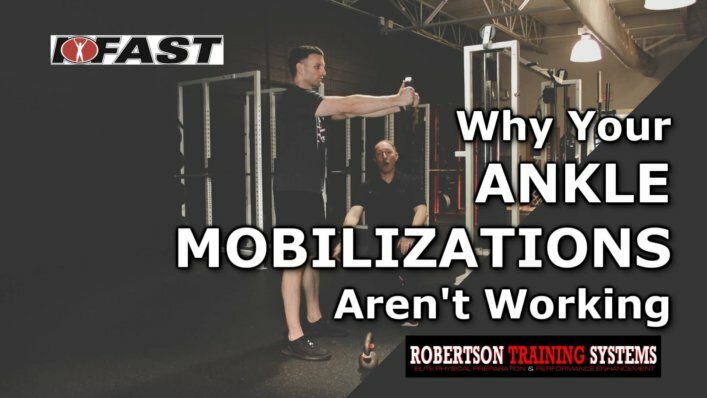 …what if your “ankle mobility” problem isn’t an isolated ankle issue at all? What if the issue is much more global in nature, and therefore needs a big picture fix? In this video, I’m going to detail a strategy that I’ve used with great success to loosen up a set of stiff ankles. Some isolated ankle mobility exercises. I sincerely hope this helps you unlock those stiff ankles once and for all!